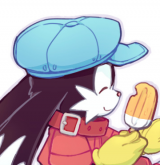 This thread is intended to serve as a compilation of papers in which I will be attempting to decipher the language of Klonoa 2: Lunatea’s Veil, most commonly called ‘Phantomilian’. All papers will also be attached to their respective posts for easier reading. The end of these studies will be to produce what I had hoped I would find in my youth: a grammar that will, given a wide enough vocabulary (which will require expansion, eventually), allow one to speak Phantomilian. Nothing less will suit our purposes here. We either accomplish this end, or find that the language has holes that cannot be filled by circumlocutions or fatal internal contradictions. Immediately, the question may occur to the reader, ‘why would anyone want to do a daft-headed thing like that?’ The longer answer to that question involves a personal history with the game, its world, its characters, atmosphere, themes, music, and the subtle power of the morality tale that all work together to present – and no one who has played this game will need to question my meaning here. But perhaps the greatest factor among all of these that captured the attention of my young mind and those to whom I have introduced this quiet little masterpiece of a fantasy is the language that was put into the mouth of its characters that cannot but capture the attention. Even when I was young and introduced to this game fifteen years ago, I heard structure in it – this was not the ‘gibberish’ that so many took it to be and that so many said it must be. There was, I was sure, a real language buried under the ‘babbling hamsters’ of ‘Stepping Wind’, as a friend of mine put it. I knew there must be. So I set out to find it. Like the many attempts that have been made at this effort over the years, I stumbled, and fell, by not knowing enough. I had a little French at the time, but knowing two Indo-European languages and never having studied logic does not equip one to tackle the problem of Phantomilian in anything but a scattershot way. ‘Stepping Wind’ would remain a mystery for fifteen years, during which time Klonoa was at the back of my mind. But I promised myself that if ever I knew enough about languages, I would try again. I grew. I moved on from young obsessions. I went to graduate school. I started a career. I forgot about Klonoa. Much like Ecclesiastes, the message of Lunatea’s Veil is one that he must grow into in order to grasp in its depth. I could sometimes hear the King of Sorrow whispering his quiet realism in my ear. I saw illnesses. I saw heartaches. I saw, above all, that he was right. For I saw, also, what happened to those who failed to heed his message: that the toll to Hyuponia is one that everyone will pay in the end. Better to know its King as a friend than to try to stop the groaning iron bell – for, when it tolls, it is always for thee. Lunatea’s Veil accomplishes something that no other game I know of can do: it has managed to touch something deep and more true than the fluvium of the world in all those who have encountered it, and it does so to give a gift. That is to say: it is a fairy story. Why study its language? It is because, like all fairy stories, it gives back more than what is put into it. The shorter answer is: because, even after all this time, I still love Klonoa, and I .intend to keep my promise to myself. There are not many games that can do what this one does, and if there are any who, like me, are as deeply affected in their fantasy lives by this one game, I hope that this effort may serve them as well. I am no linguist. I am only a dilettante with enough of enough languages to break my neck. I will make mistakes in this work, and I make no pretensions to any great knowledge. Take everything that I say in these papers as prospective until it can be confirmed by observation. Correct me where I go wrong, and I will accept it gladly. We are all working to the same end here. The aim of the present paper is to examine the grammar of ‘Stepping Wind’, the in-game song sung in Klonoa 2: Lunatea’s Veil (LV), as a means of ascertaining the fundamental grammatical structures and facts that must preface any serious study of the grammar of Phantomilian. ‘Stepping Wind’ represents an ideal point of departure for our inquiry insofar as this is, to the best of the author’s knowledge, the only written source of the Phantomilian language as actually spoken in LV from a source actually acquainted with the language. SW is not subject to the ambiguities and difficulties of transcription of the in-game dialogue and therefore represents a solid foundation upon which to form hypotheses to be tested by an examination of the wider available sampling of Phantomilian dialogue. We will not in this paper seek to establish grammatical principles as absolute, but only to establish what is probable given the available data. At the time of writing, this data set comprises ‘Stepping Wind’ itself and a transcript made by the author of most dialogue up to the end of the first Baguji scene, as well as other selected scenes that will prove useful to his thesis. This data set must be expanded before any serious work can be undertaken, but this will be sufficient to form the basis of a number of working hypotheses for future work. The usual English translation of ‘Stepping Wind’ that is widely available on the Internet will be used in this paper. The particular version of the text used here was found on GameFAQ’s; where textual variations exist, or where typographical errors exist, these have been corrected according to the katakana text available in the official Japanese guide booklet. 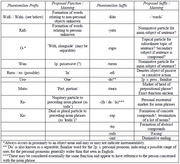 1) No assumptions will be made regarding the grammatical features of Phantomilian – e.g. that they are similar to English, or Japanese, etc. – prior to analysis of the text. 2) Word breaks follow what is heard naturally, insofar as possible. 3) A one-to-one correspondence in verb parsings and other parts of speech between the translation and the Phantomilian will be assumed insofar as possible. 4) Where discrepancies exist between the English and the Japanese, all conflicts will be resolved in favour of the Japanese unless there is compelling reason to suspect an alternate grammatical structure in the Phantomilian text. 1) Lines spoken by characters that speak clearly will be weighted more heavily than those that do not. That is, Klonoa, Lolo, Leorina, the High Priestess, the Mira-Miran, and the King of Sorrow will be the main characters used to support our models, while lines spoken by Tat, Popka, Baguji, Mommett, the Old Tree, and any distorted lines spoken by a character that normally speaks clearly will only be used to corroborate a point already established on the basis of clearer evidence. 2) In transcribing dialogue, ‘l’ will be favoured over ‘r’ of the Phantomilian text of ‘Stepping Wind’, but these will be understood to be the same letter unless the rhotic |r| is very clearly heard. This paper will comprise two parts: 1) grammatical analysis; and 2) discussion of results. External evidences will be used in the grammatical analysis where necessary to elucidate the sense of a word or determine its grammatical functions, but this will largely be confined to the Discussion section. Where necessary, the standard English translation will be corrected where sufficient evidence exists to justify its alteration. Table 1 presents the Phantomilian, English, and Japanese text of the unique lines of ‘Stepping Wind’ after removing all repeated lines. Our analysis will consider each line separately and in turn. Line (1) is a phrase of five words containing a similar prefix element (‘wafi’) on the first and third words (‘wafiyutu’ and ‘wafirupu’), two three-syllable words differing only in the substitution of ‘ru-’ for ‘ri-’ (‘rirana’ and ‘rurana’), and one unlike final word differing from these (‘seafidu’). The Japanese and English translations of this line do not materially differ, and the English elements may be taken as a starting point for analysis of this material. We note that a repeating prefix element (‘rafi-’) occurs in a similar arrangement in (2), with a similar arrangement of three-syllable words in the second and fourth positions of the phrase, as well as a similarly ‘fidu-‘ suffixed fifth word (‘maniwafidu’). (Because ‘manyuu’ and ‘manyaa’ are known words in Phantomilian, in the event that the words in (2) containing these elements should in fact be cognates, ‘rafi-’ is taken for the prefix element rather than ‘rafiman-’.) Both English and Japanese repeat the sense of ‘something’ or ‘someone’ in (1) or (2), respectively. We will adopt as a working hypothesis that the first and third words of (1) and (2) correspond to the ‘something’ and ‘someone’ of the translations to determine how far our reasoning may carry us upon this assumption. In assuming that the words containing repeating prefixes are the ‘someone’ and ‘something’ of the translations, it follows naturally that the verbs, three of which are given in the standard translation in English as 3p. s. pres. act. ind. The fourth, ‘someone discovered’ (誰かが見てる) is derived from a te-iru form of the ichudan verb見る, which the writer understands to have a possible sense of ‘to wait’ and a similar sense as the English pres. act. ind. The noun先 contained in the adverbial phrase その先で he also understands to have the possible meaning of ‘future’. Given these lexical considerations, he thus proposes ‘someone is waiting, someone is watching for the future’ as better preserving the parallelism of the Japanese. With this emendation, all four verbs may prospectively be understood as 3p. s. pres. act. ind. Because two verbs are necessary to the meaning of each phrase, and because two of the three remaining words are morphologically similar, we may posit that ‘rirana’, ‘rurana’, ‘rutini’, and ‘rufana’ all are verbs, leaving ‘seafidu’ and ‘maniwafidu’ as adverb modifiers of some kind. Additionally, we note that ‘rurana’ is repeated in (3) with a meaning similar enough that it is not difficult to see that ‘to move’ and ‘to begin’ might reside on the same verb. ‘Rirana’ is also repeated, with an overlapping meaning of ‘rising’ being related to ‘the world’, which is hardly a stretch of the imagination. The two ‘-fidu’ suffixed words may thus be taken as adverbs. We have here, then, a possible sentence structure of SV(Adv.). We also note that ‘maniwafidu’ effectively constitutes an object of the two preceding verbs in (2), but ‘seafidu’ is not related to the two preceding verbs in (1), which are intransitive. If there is indeed a common meaning in the ‘-fidu’ suffix, it cannot be related to the use as an object. The meaning appears remarkably close to the English ‘-ward’. But the use of an adverbial object effectively proves that SVO is a possible sentence structure in Phantomilian. We will postulate that it is in fact the primary sentence structure as a working hypothesis. We will also assume that the CVCVCV pattern of three syllables signals a pres. act. ind. verb to see how far this premiss may carry us in our analysis. Line (3) introduces a common word in the script of LV, ‘world’. The most common form of this word is ‘eruna’. There appear to be three words related to this in the text of Stepping Wind: ‘enatoruu’, ‘enarupu’ (3), and ‘erunaruutura’ (10). That these forms should be so diverse should indicate at once to the reader that inflection or case endings is perhaps in use in Phantomilian. Before proceeding further, this possibility should be either confirmed or disproved. A survey of .known forms of this word was undertaken by the author to determine if this might be the case and produced a strongly negative result (see Appendix I). We may state with considerable confidence that the nouns in Phantomilian do not decline for case. The presence of different suffixes in the two parallel NV phrases of (1 – 4) may indicate a distinct grammatical functions for primary subject and subordinate clauses, or other similar functions. No such changes appear to be prefixed, suffixed, or infixed to verbs of the present indicative system. ‘Yumuna’ in (3) appears to be a conjunction based on the use of だから in the Japanese and may be presumed to have a similar meaning of ‘so, thus, therefore, in this way’ ‘Paduwidu’ appears to be syntactically isolated from the remainder of (3) due to the intransitive verbs used, and as the English suggests should be rather joined to (4) as a complete thought. We note that the ‘-du’ suffix is common between ‘paduwidu’ and ‘winawinadu’. Given that ‘du’ is a known Phantomilian word for a familiar form of the 2p s. pronoun, we may postulate that this suffix is performing the function of the possessive element required by both English and Japanese translations. Line (4) introduces the ‘bar-’ or ‘baryu-’ prefix and uses ‘rufana’ unmodified from its 3p. s. pres. act. ind. form, which implies that we must look other than to the verbs for the causative force seen in the translation (i.e. ‘make to dance’ versus ‘to dance’). In the SVO pattern observed before, ‘winawinadu’ appears to serve as the object – but it is impossible to read the sentence in this way. Instead, taking the suffix ‘-du’ common to ‘winawinadu’ and ‘paduwidu’, we observe that the difficulty is resolved, and we have thus two separate clauses ‘Paduwidu baruyefi ritura’ and ‘baruyurupu rufana winawinadu’. ‘Baryu-’ is thus easily seen as the stem meaning ‘my heart’, which takes various inflectional endings as the case may warrant. Notably, we see here the SVO pattern broken. We conclude that the SVO pattern is not absolute, though whether this is simply due to poetic consideration (similar to how English word order may be disrupted in some hymns for the demand of the meter or rhyme scheme) is impossible to say at this time. Line (5) introduces a list of nouns that may be regarded as subordinate to the main clause with the implied 1p s. subject. The question is whether the preposition ‘with’ appears as a distinct grammatical element; the Japanese suggests that it does not in this line. This may be determine with some certainty in considering the order of the items listed and their possible derivations: ‘map’, ‘bag’ and ‘compass’ are listed in the order given. If ‘finiya’ is taken as a preposition meaning ‘with’, this would assign ‘tuarafi’ to ‘map’, ‘manyurap’ to ‘bag’, ‘etito’ to ‘compass’, and would notably leave the sentence without a separable conjunction; as we do not wish to posit an unnecessary clitic entity (e.g. Latin ‘-que’ suffix) just to serve this purpose, this explanation is not sufficient. The Japanese lacks a beginning preposition as well: proceeding with the assumption that the Phantomilian also begins directly with the listed nouns, we have ‘finiya’ for ‘map’, ‘tuarafi’ for ‘bag’, and ‘manyurap’ for ‘map’. Because ‘manyu’ and its related expressions have a wide semantic domain with varied uses that will form the matter of a future study, it is not difficult to conceive that a word of such wide application could enter into combination with a suffix to form a derived noun. If we may be indulged in some small speculation, ‘manyurap’ might easily mean something like ‘place-finder’, ‘place-pointer’, or ‘where-finder’. This explanation appears to fit with what we know of Phantomilian generally and will serve as our working hypothesis. Let’s grab the fake ring and the element! ‘Horu’ thus appears to be a different form of conjunction meaning ‘and’. ‘Etito’ may therefore mean ‘and’ in a different sense than that which exists between successive nouns in a sentence. Taking ‘etito’ as this type of restricted conjunction, the remaining words therefore become a single unit: ‘owanruu turafiro’, meaning ‘favourite hat’. The possessive element may be accounted for by noting a common element in (5) and (6) of a ‘wan’ prefix, with the possessive adjective appearing in both lines. Although the (5) reads ‘owan’ instead of ‘wan’ alone, we do not yet know whether another prefix has been added to the word in agglutinative fashion; the meaning of the prefix ‘o’, which may be separable, will be considered separately later. Taking ‘owanruu’ as the word containing the possessive element, we may know that the phrase carries either the sense of ‘my hat-favourite’ or ‘my favourite hat’, depending upon the typical order of noun and adjective. This we shall next attempt to determine. Line (6) may be divided into two clauses: 1) a second adverbial phrase continuing the sense of (5) (‘waniru wanirappu ow-romuu’); and 2) a simple verb phrase modified by another adverbial phrase (‘tuhana erunima wafiwafidu’). To determine the proper order of an adjective construction, we will test whether the phrase can be better understood as head-initial or head-final. Taking into consideration that ‘wan’ is likely possessive, ‘my pocket’ must correspond to either ‘waniru’ or ‘wanirappu’. ‘Ow-romuu’ cannot serve as ‘pocket’ because it lacks the ‘wan’ element. Therefore, ‘waniru’ is more likely to correspond to ‘my pocket’ than either of the other candidates, being head of the phrase. If so, because ‘my’ is an adjunct and not a complement of the phrase, it appears thus that attributive adjectives take an head-final construction. Taking ‘waniru’ as head of the phrase, ‘wanirappu’ must mean ‘full’. Because the phrase ends with ‘ow-romuu’, the meaning of ‘usual candy’ must be condensed in this one word. Omitting the ‘usual’ and ‘full’ modifiers, ‘pocket [of] candy’ is the evident meaning. But this phrase is itself attributive and, suggesting a head-initial construction for adjective-noun constructions. Applying this to (5) yields ‘owanruu’ as ‘my favourite’ and ‘turafiro’ as hat, and to ‘ow-romuu’ gives ‘ow’ as ‘usual’ and ‘romuu’ as ‘candy’. Finally, we return to (5) and may by process of elimination assign the meaning of ‘with’ to the prefix ‘o’. ‘O’ and ‘ow’ are also taken to have different meanings because they are heard quite differently: ‘o’ is an open vowel, whereas ‘ow’ is a diphthong. Waku-Doki is the feeling of anticipation and that adrenaline rush you get when you are about to do some exciting. It's a feeling you cant really describe and is so intense that your heart beats faster and you are almost trembling with nervous excitement.’ (Urban Dictionary). The translation here being somewhat loose for our purposes, we propose that the sense of the line is ‘it’s exciting to get on the way’, or similar. There is no clear subject of the clause, and the 3p. s. pres. act. ind. verb form suggests the necessity of an English dummy subject (‘it’), while the verb (‘tuhana’) may well mean ‘to be excited’. ‘Erunima’ is unclear but may be related to the word for ‘world’ (‘eruna’). If ‘tuhana’ is a transitive verb, the sense here may be ‘to get excited over something’. That ‘something’ may be ‘everything’, taking ‘erunima’ as something like ‘all’. The ‘-fidu’ suffix has precedent for adverbial use, and the repetition of syllables may be parallel to the use of onomatopoeia in the Japanese. The author will gladly accept all corrections in this analysis or to be shown that the English translation is in fact correct. However, this breakdown to yield a loose meaning of ‘but I left something – the best thing, the very most important thing’ appears to fit the context of the stanza better than the standard English, and we will proceed presuming that this parsing is correct. If the appositive conjunction is preserved from the Japanese, it is reasonable to assign it to ‘waryura’. The somewhat inverted sentence order of the Japanese may be reflected in the Phantomilian here, for ‘irunio’ and ‘irubani’ follow close upon the conjunction and share a common prefix ‘iru-’. Taking the Japanese as a guide, ‘irunio’ and ‘irubani’ may represent the cognate forms of an adjective and superlative version thereof., while ‘meunatte’ is left to signify ‘important’ We note also that ‘waffiruu’ shares the common ‘wafi-’ prefix with the two ‘somethings’ identified as subjects in (1). Taking ‘waffiruu’ as the object of its own construction, we can place it at the end of a string of modifiers with the sense of ‘but the best thing, the really-most-important-thing’. The verb is interesting, as it brings to our attention for the first time a past tense inflection, and its position at the end of the line suggests a similar emphatic role as such inversion sometimes performs in English (‘but the vest thing, the really-most-important thing, I left behind’). The form contains four syllables, rather than the three of the present indicative forms (tu-na-i-na). If ‘na-i-na’ is taken as the root, ‘tu-’ may be added as a temporal augment to alter the tense, without necessarily altering the verbal aspect or mood. If we presume that a root typically will have the three syllables of the pres. act. ind., we can consider the alternative that the root is augmented on the suffix (i.e. taking ‘tu-na-i’ as the root). However, this appears to insert the necessity of a glottal stop into the pronunciation and does not appear similar to any pres. act. ind. verb seen thus far. The possibility of ‘tu-’ forming the past tense (of some sort) by addition to the verb stem is therefore to be favoured and will be treated further in the Discussion section. After all, we’ve come too far to turn back, right? The meaning of ‘wentu wai’ is not entirely clear. Whatever it is, it must be at least somewhat consistent between (8) and (12). ‘In order [to]’ would seem to fit well for both of these lines. The role of the remaining words is not easy to determine; they are sung quickly, and the breaks between each are not apparent. No apparent conjunctions in the phrase can be determined. Several of the texts available listモ ルルファ as separable words (‘mo rurufa’), but other considerations will show that the ‘fa’ suffix likely has other import as a particle (see Discussion). We may therefore tentatively locate the verb in ‘moruru’, following the three-syllable pattern seen hitherto. Possibly ‘to search’ simply takes its argument before the verb, or possibly ‘it’ may be a dummy object; more data are needed. Line (9) has three or possibly four words heard as separable when sung: ‘ruruwaryuuiine’, ‘sheniifa’, ‘turafoyuwari’, and possibly ‘fa’ if this is not to be taken as part of a larger word, ‘turafoyuwarifa’. We may note here that the English is somewhat loose: there is no verb ‘to see’ involved in the Japanese. Thus, the phrase is a noun construct with a somewhat poetical form reminiscent of Japanese poetry. The elements which must be accounted for include: 1) Preposition (‘in’); 2) Noun (‘evening’); 3) Attributive Adjective (‘gentle’); 4) Noun (‘falling star’). We may tentatively assign both the preposition and attributive adjective to ‘ruruwaryuuiine’, which is heard clearly as a single unit. Taking the consideration of prepositions as a type of adjective, we have already seen that attributive adjectives occur before the noun modified. ‘Ruru-’ occurs as a prefix also in (16) and is thus worthy of some consideration here for its function. If ‘ruru-’ is assigned the meaning of ‘in’, ‘waryuuiine’ becomes ‘evening’, ‘sheniifa’ becomes ‘evening’, and ‘rurafoyuwari fa’ becomes ‘falling star’. This fits well with a general SVO sentence order, but ‘fa’ as a separable suffix is out of place. We will introduce here the possibility that this suffix represents an existential declaration of specialized use and defer the justification of this proposal to the Discussion. Line (10) contains the well-known Phantomilian noun ‘eruna’, meaning ‘world’, as the head of what appears to be a post-positional phrase (‘from beyond the world’). This suggests that there may be certain adjectives in Phantomilian that act as prepositions would in English (e.g. ‘in’), while others may take a post-position instead, which must be learned by use. The subject may probably be located in ‘raburigentu’ given the structure of both the English and Japanese, for this world in its form and heard stresses appears to be a compound. The head-final convention of attributive adjective-noun constructs gives ‘raburi’ for ‘new’ and ‘gentu’ for wind. ‘Koudutudu’ therefore must stand as the verb, and we note that this form is both longer and of a different vowel pattern than any seen before except for ‘rupurudu’, but in all other respects it accords with the syntactical patterns seen above. The relationship between the ‘-ruutura’ suffix of ‘eruna’, ‘inewai’ and ‘isu’ is less clear. However, taking ‘from’ as an attributive adjective and ‘beyond’ as a noun as the construction demands, we are therefore led to ‘inewai’ as ‘from’ and ‘isu’ as ‘beyond’. But ‘-ruutura’ remains unaccounted: and we begin here to see here suggested a role for the suffixes we have thus far not treated as encoding supplemental information necessary to the sense of a phrase. ‘-Ruutura’ may act as a particle to express the relation of elements in the phrase: that is, that ‘eruna’ is marked as the head of the post-positional phrase, ‘from beyond the world’, or ‘from the other side of the world’, to make explicit the noun-sense of ‘beyond’. The elliptical presentation and a somewhat idiomatic use of そんなもの appear to imply that the items named are needful to advance toward some goal. Line (11) contains another list of nouns as objects of a verb with an implicit subject. We again find that there are no conjunctions between items in the list. If ‘nanate’ is assigned the meaning ‘I need’, the following three items in the list therefore follow as arguments in keeping with the general SVO sentence order. ‘Love’ is thus assigned to ‘airan’, ‘courage’ to ‘ferurap’, and ‘rushetto’ to ‘willpower’. ‘-Rap’ is repeated as a suffix (see (5), ‘manyurap’) and appears again in the context of a noun in a list. An alternative interpretation would be to assign ‘-rap’ the power to conclude the nouns in a list of related items, which would seem to fit well with the hard-stop sound of the word. We note also that the verb vowels are in a different pattern [(C)a(C)a(C)e] than those encountered before, perhaps suggesting a different mood or aspect of the verb. ‘The final word, ‘fanniaruu’, is difficult; it will not serve as a direct translation of the subordinating conjunction ‘in order to’ because there is no additional verb or sense in the subordinated clause other than ‘wenwena’. One possible solution to this translation issue would be to consider ‘nanate’ a mood of the verb that would allow for this kind of construction. The subjunctive mood would be one possibility; if so ‘fanniaru’ would carry the sense of ‘necessary for’, and ‘wenwena’, instead of ‘goals’ of the English would perhaps mean ‘advancement [toward an end]’. (i.e. ‘I would need these for that.) More data are needed before this possibility could be seriously advanced. ‘Uru-’ would therefore fit well as ‘one’, with the meaning of ‘one place’ tentatively assigned to the compound. If this analysis is correct, it is necessary to consider the relation of the compound to the verb, which seems to function here as the head of an infinitive adverbial phrase used as a subject to the sentence. ‘Turuto’ may be tentatively assigned the meaning of ‘to step’, leaving ‘reefen’ as the adverb ‘forward’. ‘Rurufa’ may be either a pres. act. ind. verb in the pattern observed to this point, but we note that the vowel pattern [(C)u(C)u(C)a] is novel. An alternate analysis would be to consider ‘rurufa’ as a compound of two particles (i.e. ‘ruru-’ and ‘-fa’) already observed, but this interpretation would place a preposition (‘ruru’, in) and a possible existential marker (‘fa’, see Discussion) in post-position on an adverb. This may be possible, but this interpretation would make a mangle of the grammar of a preposition, and it is not clear that the combination would signify anything useful in the literal sense ([to-step one-place forward] [in-is] (‘wentu wai rupurudu’)). The more natural reading is therefore as a verb taking the entire phrase ‘turuto urumunyu reefen’ as its argument. Lines (13) to (16) are so closely related upon even cursory inspection that they can be treated as a unit. The standard English translation gives a geminalized ‘p’ in (15) and a single ‘p’ in (13), but the katakana representation of the Phantomilian does not support this. We may therefore take ‘turapu’ and ‘turappu’ as being the same word. This word has the three-syllable structure of verbs hitherto noted, but the vowel pattern is unique [(C)u(C)a(C)u]. It also occurs before the noun, which violates the general SOV order used as an heuristic in this analysis. The interpretation of this verb, and whether the vowel pattern observed represents a grammatical function hitherto unobserved, will depend largely upon whether ‘dindan’ may be ignored and the lines joined together. The entire phrase would therefore be ‘turapu tikyan duwaari rufudu’. We will consider the separate phrases ‘turapu tikyan’ and ‘duwaari rufudu’ first, then the whole phrase as a unit. If ‘turapu’ is a verb form, ‘tikyan’ is necessarily assigned the meaning of ‘bell’, as it is the only other word on the line that can stand for this meaning. We may therefore consider the possibility that ‘turapu’ is acting as a participle given the head-final construction for attributive adjective-noun phrases posited in (5) and (6). The Japanese verb form is the pres. act. ind., ‘is ringing’ in (13) and (14) alike. In (16), ‘rufudu’ has the syllabic and vowel pattern of a verb and has a similar vowel pattern as ‘koudutudu’ (10). The Phantomilian verbs are clearly different roots, different forms, or both. If (13) is considered as isolated, it is either 1) a VS-ordered sentence (‘rings, a bell’ – the ‘Yoda’ construction); 2) a VO-phrase with an implied subject, ‘it’ (‘rings a bell’); or 3) or a noun phrase with the pres. act. participle similar to (9) (‘ringing-bell’). We note that the latter construction lacks the ‘fa’ suffix observed in (9), or any of its cognates, which are observed in other instances of noun-sentences and appear necessary to their sense (see Discussion). Neither of the other two possibilities are quite satisfactory. If (14) is considered as isolated, the sentence structure is SV. ‘Duwaari’ thus naturally takes the meaning of ‘dreams’, and the whole phrase takes on the sense ‘dreams are sounding’ based on the Japanese. But this cannot account for why the Phantomilian verbs forms are different. The difference in verb forms may simply be attributed to the Japanese 鳴る meaning both ‘to ring’ (as a bell) or ‘to sound’ (as a dream). It is not, however, entirely clear that this is a satisfactory explanation, as it is not clear that a dream is a thing that can sound in the same sense as a bell. Here we come to what may be one of the most interesting features of Phantomilian: it is probable that the attributive genitive (e.g. ‘Mother of John’, ‘John’s mother’; ‘Queen of Sweden’) is formed as a noun construct chain. (e.g. ‘dig’ fop’ / digu fopo’ – King of Sorrow). Applied to (14), this has the very interesting implication that ‘rufudu’ is to be taken as a substantive, and not an attributive participle (i.e. the sounding of dreams). If the [(C)u(C)u(C)u] vowel pattern does indeed signify this aspect, line (10) becomes more interesting in that it at once assumes the character of a noun-sentence and better conforms to the stark poetical appositions of images common in Japanese forms of poetry. Other explanatory power attaches to this hypothesis: the absence of gratuitous English in the Japanese of (16) suggests that ‘rurupurudu’ here assumes a legitimate grammatical role not seen in either occurrence of ‘wentu wai rupurudu’ (8, 12). The prepositional prefix ‘ruru-’ suggests that ‘rurupurudu’ is being used as a participle similar to the English gerundive ‘going’; the sense appears to be ‘in/during [my] going’. The use of ‘in’ in a temporal sense is not exotic and is common in many languages, including English. ‘Purudu’ would therefore be the pres. act. participial form from the root ‘to go’. Taking (13) and (14) as an whole, and given this substantive use of the participle for the sake of argument, the sense of this line becomes nearly as it reads in English: ‘A bell is ringing [out] the sounding-of-dreams’. ‘To ring’ may be taken as either a transitive or an intransitive verb, depending on the context; it is the author’s belief that this ambiguity is intentional in the Phantomilian text. It establishes a certain question-and-answer form: ‘a bell rings / is ringing’ – what does it ring? – ‘the sounding of dreams’. There is elegance in how these lines are constructed, which to this author’s own opinion make this explanation and grammatical feature all the more appealing. Line (15) is parallel in form to (13), and the assignment of the noun to ‘rushen’ is trivial. The character胸 has the meaning of ‘chest’, ‘heart’, ‘feelings’, or various ventral viscera, depending upon context. There is a probable word-play in the Japanese based upon these overlapping definitions and the general prominence of the heart and emotions throughout ‘Stepping Wind’ as an whole. We need only note here that ‘rushetto’ (‘willpower, determination’) and ‘rushen’ are morphologically similar and of such similar sense that it is reasonable to assume that the former is derived from the latter; this also implies a means of forming conceptual derivatives (i.e. suffix ‘-tto’). In this example of a similar type of coordination, we observe that the suffix ‘-fyaa’ is similarly applied to two subsequent words. ‘Manira’ shares a prefix ‘mani- with’ ‘maniwafidu’ (2), meaning possibly ‘future’ or ‘destination’ based on the Japanese. It is tempting in this case therefore to assign to ‘mani-’ a general role in compounding nouns relating to place or situation, but we will require independent confirmation before more can be made of this derivation. Of more immediate importance is the fact that this line has the marks of a noun phrase, as we have not encountered verbs in this analysis that take suffixes of this kind, and we have encountered such post-positional modifiers on nouns (‘erunatuura’, line (10)). Presuming, that ‘duwafirufa manyurufa’ is this kind of common-suffixed noun construct phrase, we note that the ending of ‘duwaari’ mutates upon being suffixed by ‘-rufa’. This may be a phonotactic phenomenon and will form the topic of a future study. ‘Manyurufa’ is an obvious compound of ‘manyu’ with the suffix, and this word is known to carry an indefinite use as an interjection or interrogative, or to enter into compounds to form pronouns relating to an unknown subject or object (e.g. ‘rafi-manyuu’, someone). We suggest therefore that because ‘eruna’ does not appear in (16) that ‘manyurufa’ stands for an alternate sense of ‘world’, viz. the abstract unknown as opposed to the concept of the world as an whole. This sense suggests a dative-like role of the ‘-rufa’ suffix that shows the direction of the dreams sounding into the world. We would therefore suggest ‘into’ as a meaning for this ‘rufa’ suffix. The sense of lines (15) and (16) taken together thus becomes ‘My heart is ringing out dreams as-I-am-going-into the world’. We spoke of a number of matters which did not admit of a treatment within the analysis of the grammar of ‘Stepping Wind’ and shall now address these in turn under their own headings, with occasional reference to various matters discussed in our analysis. You mean… do a double jump? O-oh, I knew about those! Your name is Klonoa, is it? Look over yonder. The Fifth Bell was always a part of your world. Hey! Why did you share all that with me? Where ‘yumeu’ is the more formal ‘you’ (s. & pl.) that dominates throughout the script; a more thorough treatment of pronouns follows below. We need more power. But there’s no way to tell when it will explode. Go home, little girl. I will save your precious world. With this power... I shall teach the world sorrow! There are no identifiable consistent elements in these lines that suggest a common means of forming future tenses. It may perhaps be that the future tense is formed by alterations on the verb stem, in which case our method to this point would not be able to identify it. Further study is needed in this area particularly. ‘Peruto’ has similar vowels on the ultima and antepenult as ‘turuto’, and the use of the infinitive verb form for this type of construction is possible even in English. Also notable here is the use of the ‘-efi’ suffix for a causative action, which is observed in (4) for ‘to cause to dance’. ‘Man’ therefore appears to stand as an objective 3p. personal pronoun (‘it’) in this phrase. Let’s just get the Bell of Discord, yes? Given this, we see that if the head-final order of attributive adjective-noun phrases is followed that ‘waputuru’ must necessarily stand as an attributive participle modifying ‘Jolianto’. The form of the phrase ‘waputuru Jolianto’ stands apart from the remainder of the sentence and has no obvious connections to any other referents, even in the English. It appears thus to be a participial absolute adverbial phrase. In languages of the author’s acquaintance, when a construction of this type appears (such as the so-called ‘genitive absolute’ of Koine Greek), it often require a temporal conjunction to represent the relationship to the main clause. This appears to be the case here. The meaning of the remainder of the phrase depends upon whether ‘bakiro’ is assigned the role of a verb or a noun. If ‘bakiro’ is a noun, the role of ‘tuhurupuru’ must be either as a verb, in which case the phrase is a complete thought with an implied 3p. pl. subject (‘they’), or as a substantive participle, in which case both the absolute and main clauses stand as noun phrases of the kind hitherto adduced. The infinitive would allow for this construction and would perhaps lend the sense of ‘go about habitually fighting’ when connected with the participle. The author believes that this explanation is to be favoured and that ‘kuda’ thus takes on the role of the ‘fa’, ‘da’, or ‘la’ particles observed elsewhere (see Section E). We propose, then, that ‘kuda’ may be a dual or plural modification to the grammatical role of ‘da’ that is used when two (or perhaps more) referent noun phrases are used in a sentence. Locating another use of ‘kuda’ in a univocal sense would serve to practically confirm these deductions. Derivatives of ‘fiyara’ appear to have a distinct use from the ‘da’ particle. Because Phantomilian does not employ the simple copula, any appearance of the verb ‘to be’ must have a justified use. These may include emphatic or contrastive aspects of a sentence, or other time aspects than the simple present may be employed. The ‘-fiya’ suffix is interesting inasmuch as it appears to be a sort of clitic form of ‘to be’ attached to a noun or adjective. This is an apparently important function of ‘fiyara’ and will be studied in greater detail in a forthcoming work. Given the prominence of this construction in even the small sampling of dialogue that forms the basis of this study, it is perhaps not amiss to consider here whether ‘finiya’ in (5) might not represent another form of this verb. If so, it would likely represent the 3p. s. pres. act. ind. as a simple statement that ‘these items are’. If this is true, then a study of the transformations of this common verb may be useful in describing the verb system of Phantomilian, which requires far more study. We do not, for example, yet have clear examples of the proposed ‘middle voice’, or for the subjunctive mood. The verb system will form the matter of a future study once more data are available upon which to draw conclusions. There formulations will be tested as hypotheses for future studies; the author is already aware of certain lines that, as they are translated in the English, challenge this (admittedly simplistic) scheme. Based on these uses, the proposed roles of ‘wafi-’ (hereafter ‘wahi-’) and ‘rafi-’ proposed in SW appear to stand. With this power… I shall teach the world sorrow! With this power... with this power...! And now… my victory is complete! Yes, without a doubt. He’s the one! Are you... the King of Sorrow?! The use of ‘fa’ appears to be similar, but refers the state of affairs to one’s own interests (see (9)). He appeared in the Sea of Tears, just as you foretold. ‘To appear’ being an intransitive verb, it appears that the addition of ‘-efi’ to either the object of a transitive verb or to the stem of an intransitive verb may be sufficient to form the passive voice. What am I up to? Hmph. Isn’t it obvious? My power… with exceed that of the gods! The form assumes a certain arrogance. ‘Ishniant?’ may on this interpretation be ‘a trivial thing’. ‘Precious world’ may indicate the prideful contempt that the form seems to imply, while ‘huilniant’ may be a caustic way of saying ‘my little power’. It is possible that the form could be divorced from these connotations if it were to be found in the mouth of a character other than Leorina. On the whole, Phantomilian appears to function as an agglutinative language that freely combines words or elements of known meaning to form compounds to meet a given need. This is heartening, for this structure itself will allow one to take a liberal hand in forming combinations that may not occur in the LV script to fit a desired meaning if a known word-form does not exist. A number of words in ‘Stepping Wind’ appear to be produced from doubled roots (‘winawinadu’, eyes; ‘wenwena’, goals, ends, aims). Both of these words were assigned meanings relating to plural entities. We suggest here that this may be one way of forming a noun with plural meaning, for it is not yet clear what, if any, consistent plural markers exist upon nouns. This is a question that must be urgently answered before meaningful work can continue. 1) The liquid consonants ‘l’, ‘m’, and ‘n’ may freely change among each other depending upon following words in the sentence. 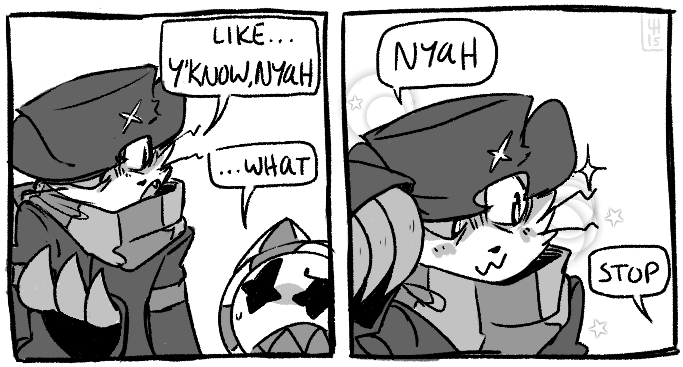 Klonoa’s dialect chiefly uses ‘n’, while Lolo’s uses ‘l’ in the same place in what is identifiably the same word. (e.g. Klo’oa / Klona / Klola) Either of ‘m’ or ‘n’ often soften to ‘l’ at the end of a word if the sentence is spoken quickly, or if the speaker drawls the last syllable before continuing (e.g. Huim --> Huil). 2) The mildly-rhotic Japanese ‘r’, likely due to its point of articulation in the mouth, ‘l’, and ‘th’ may change somewhat freely among each other based on how much breath is moving through the speaker’s mouth (e.g. leng, reng, theng). 3) The ‘r’ and ‘d’ consonants are alveodental and interchange freely on stressed syllables, especially at the beginning of words. This is partly a dialect effect, as characters that articulate ‘l’ nearer the front of the mouth have a greater tendency to mutate the consonant, especially Klonoa. 4) Liquid consonants or ‘r’ often are dropped with the following vowel on unstressed syllables if the sentence is spoken quickly (e.g. Klonoa --> Klo’oa), or if the word is compounded with a known suffix (e.g. eruna --> eruniant). 5) Bridging consonants are sometimes added in fast-spoken sentences containing other changes if a word ending in a vowel is followed by another vowel or a liquid consonant (e.g. Figuna Lot (‘Fifth Kingdom’) --> Fugat’ Not). It will perhaps not have escaped the notice of the reader that many of the grammatical features, such as the SVO sentence order and head-directionality, proposed in this paper for the grammar of Phantomilian are similar to those of English. In the author’s view, this is perhaps not unexpected: we know, for example, that English was on the minds of the designers of Lunatea’s Veil inasmuch as most of the signs bearing the in-game scripts have been translated into various English words, as well as the presence of numerous English loan-words that have altered slightly as they come into Phantomilian: ‘beiyo’ (bell), ‘theng’ (ring), ‘amanto’ (element), and possibly even ‘eruna’ (world) if this is derived from ‘Earth’. (This also suggests an obvious way to expand the vocabulary of the language and still keep to the feel of the original.) Japanese is also an almost entirely head-final language in terms of its constructions, to which the phrase directionality in English is most often opposite. The author suggests that borrowing elements of English syntax would occur naturally to a Japanese developer seeking to create something that sounds otherworldly-but-similar in comparison with his own tongue. This paper has grown beyond the rather modest intents its author had held for it at the first. As more and more material came into his grasp, the basis upon which to build a grammar of Phantomilian seemed to expand, as did the amount of treatment demanded by each topic in this brief overview. Some of the author’s original suspicions and postulates now appear a little thin in the light of more evidence. Nonetheless, the author sincerely hopes that these contentions will be refined and proven in time by the scrutiny of the community. -That Phantomilian functions chiefly with a SVO sentence order, and that deviations from this are usually for the sake of emphasis or poetical meter. -That the pres. act. ind. verb system can be primarily distinguished by a trisyllabic CVCVCV pattern. -That there exist certain modifications for tense by addition of certain suffixes (e.g. ‘tu’) to the verb stem of this system. -That the participle is easily identified by its vowel pattern and can perhaps function as a substantive. -That noun phrases are possible, common, and are usually declared by a particle or conjugation of ‘fiyara’. 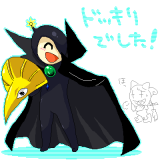 And lastly of all, that Phantomilian is, so far, most definitely intelligible. And that, friends, is pretty exciting. The most urgent need in this project is for data; without a thorough catalogue of the script, no real progress can be made in discerning the grammatical conventions of Phantomilian. This must form the basis of all future studies. (If any reader of this might know where a transcript of the Japanese script might be found, the author would be most grateful.) A study of the verb system is also necessary before any accuracy in ascertaining word meanings for a future lexicon can be assured. Many of these translations are quite loose. However, the evidence is overwhelming that ‘eruna’, appearing in as wide a variety of grammatical contexts as could be expected of any test, does not inflect or take case endings as such. Several instances exist of stem modification (‘eruniant’, ‘erunakloa’, ‘erun’ap’, ‘yuena’), but these seem to relate to phonological considerations: ‘eruniant’ drops the ‘a’ of the ultima to join the new suffix because of the tendency for weak vowels to drop after liquids on unstressed syllables in Phantomilian, ‘erunakloa’ simply appends the consonant to the weak vowel, ‘erun’ap’ overrides the weak vowel with that of the following word, and ‘yuena’ appears to drop the middle ‘ru’ because of added vocal stresses from shouting the line. The reader should note that these lines were transcribed quickly and very likely contain errors. Since their transcription, the author has obtained a sound rip of the voices used in-game, and thus any errors introduced by the use of an inferior quality of recording should be overlooked, for all shall be re-transcribed in time. I genuinely don't my peanut brain can comprehend even a fraction of this but it's insanely impressive...You're one hell of a linguist, buddy. Lukanana! Comments like these give me the will to go on with the weary work of transcription and analysis. The thrill of research is one thing, but the glamour can fade during the hours of long experiment. This is a project that is very dear to my heart, and though my drive to see it through has not dimmed in the least, all encouragement is gladly welcomed. Woah, you truly have so much dedication and knowledge to create such an in-depth post! There's quite a bit I don't understand purely since I don't know the ins and outs of languages, but this is still a really interesting read! I'm certainly excited to see you continue with this endeavour, and I wish you luck on your research! I've quite the big wide bottom. How embarrassing. There's a Stepping Wind video with translated lyrics. Do or don't; there's no try. This is one massive research paper! I highly encourage you to keep going, lots of things make sense and even if you reached to this momentary end of the line, it seems that you have uncovered lots of things I could not realize at all. Thank you all so much for the encouragements! I assure you all: I have no intention of stopping now. There is too much structure, too much that is beginning to make a dim sort of sense to stop now. I am on the downhill as far as transcription of the dialogue goes. I can make no promises as to when I think I might have another paper out -- research is seldom so kind -- but I shall put up the dialogue transcript once it is complete. I believe in publishing one's data in full, and so far as I know, no such transcript of the Phantomilian dialogue exists -- perhaps someone might be able to get some use out of it, or see something in it that I overlook. This project is a joy to work on, and I thank you all from the bottom of my heart for your interest and support.